To celebrate the release of Kill List, in cinema's Sept 2nd, we have a pair of tickets to give away for an exclusive advance screening and Q&A at The Prince Charles Cinema (London) on 31st August. The acclaimed second feature of DOWN TERRACE director Ben Wheatley, this British hitman thriller garnered excellent reviews in SXSW festival. The story follows ex-soldier turned contract killer Jay, eight months after a disastrous job in Kiev left him physically and mentally scarred. 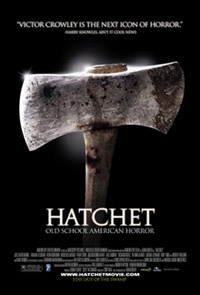 Pressured by his partner, Gal, he takes on a new assignment. As they descend into the dark and disturbing world of the contract, Jay begins to unravel once again - his fear and paranoia sending him deep into the heart of darkness. Are you on the Kill List? To find out answer the question below. Note, this competition will close on 29th August, you will be contacted by email immediately after. So keep your eye on your inbox on 30th August! Follow on twitter to find out if you are a target! 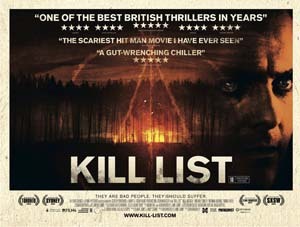 KILL LIST hits cinema's Sept 2nd.